Wrapping salmon in salty prosciutto and adding Tarragon is a way to bring a lot of flavour to an already tasty fish. It is also an easy and quick dish to jazz up your dinner. Melt a little butter in a pan on a high heat. Once melted and hot, you can add the salmon into the pan. Please make sure your pan is really hot, so you can sear the salmon, to lock in both all the moisture and the flavour. Season with a little salt and pepper and lower to a medium high heat. Cook for a few minutes on each side till 75% cooked and take off the heat. 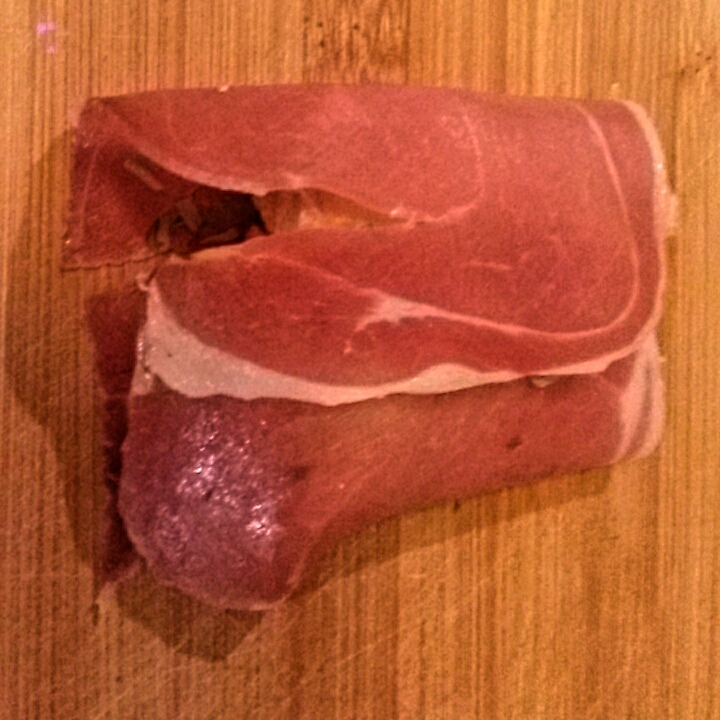 Put the slices of prosciutto next to one another on a cutting board or plate. 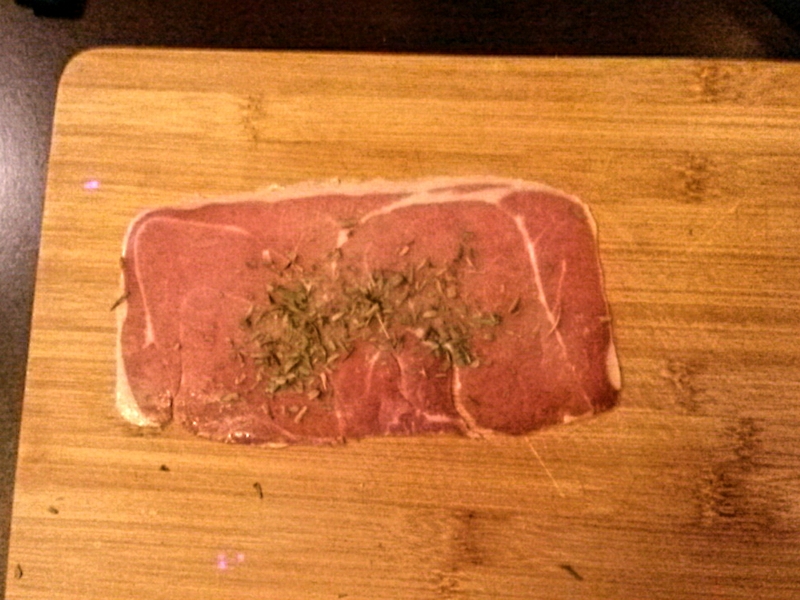 Now place your tarragon on top of the prosciutto, in the middle. 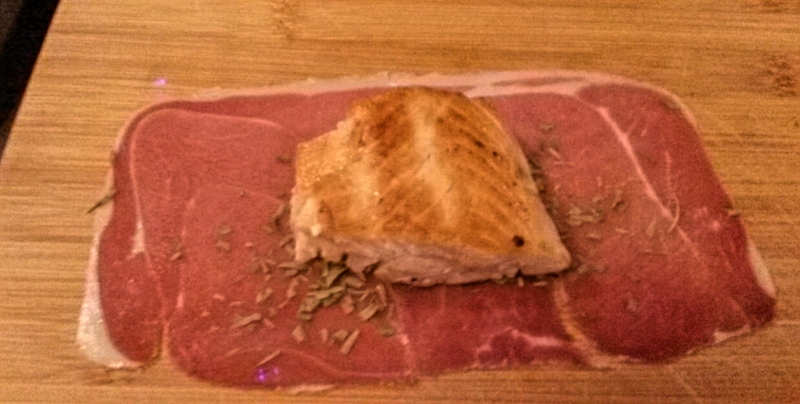 Put your hot salmon on top of the prosciutto and tarragon, and wrap the ‘pocket’ closed. Repeat for all the salmon fillets. Add a little more butter to your pan and melt this over a medium high heat. Once the butter is melted, add your wrapped salmon fillet to the pan and cook till the prosciutto is crispy. This will only take a few minutes. Flip over and repeat so both sides will be nice and crispy. Your salmon should then be just right cooked pink on the inside. Serve straight away with veggies of your choice or fried potatoes. Enjoy!